I absolutely love breakfast, don't you? I believe that the perfect day starts with the perfect breakfast. 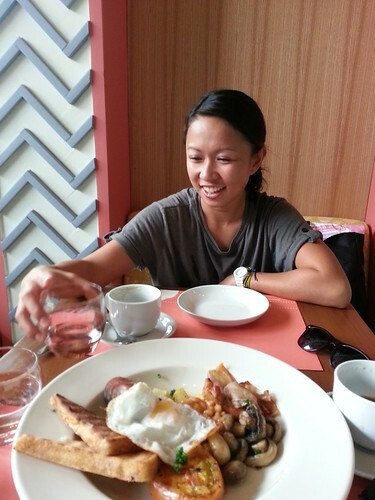 But it's always a challenge to find a good breakfast place in the city. And not just a good, hearty breakfast- a beautiful breakfast! 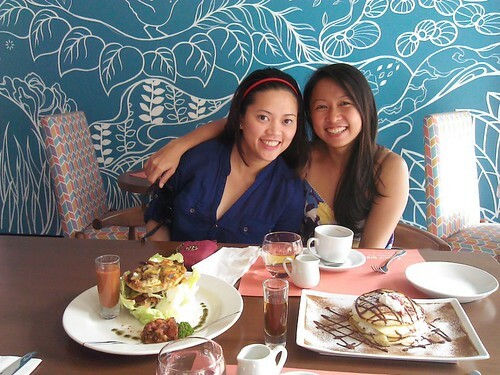 A resto that serves delicious pancakes, creamy omelettes, strong coffee, crispy bacon in a place that's bright and cozy. You can imagine my delight when I found out a few months ago that a new breakfast place just opened in town: Early Bird Breakfast Club. I was there during their soft opening and I kept coming back many times after that. I enjoyed breakfast here so much that even though I'm always traveling, I make it a point to have a meal here as soon as I got back. And of course I dragged my friends along! They did not need too much convincing, trust me. The moment you walk into this restaurant, you immediately feel a welcoming vibe. 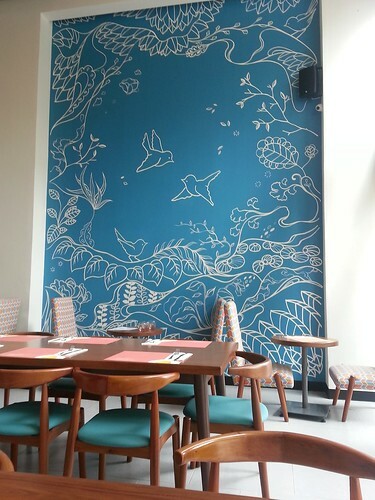 For starters, the wall is hand painted with a mural of birds and branches in a cool shade of blue- so easy on the eyes. The main area has a high ceiling and mirrors that make the place seem larger than it really is. 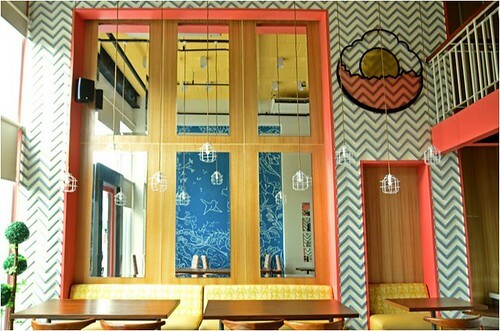 Plus the retro chic furniture gives the place a pretty, artsy feel. As soon as I'm seated in one of the couches, I feel right at home and start chatting away. From the numerous visits I've made here, I already have a few favorites. 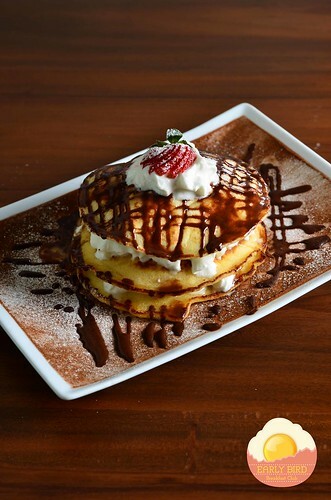 Early Bird Signature Pancakes- Because seriously, what's a breakfast without pancakes? But this is not the ordinary flapjacks that your mom makes at home. Take a few fluffy pancakes, stack them up between creamy fruit-flavored butter then drizzle the whole thing with chocolate powder and Vermont syrup. Place a strawberry on top. Consume slowly and deliberately. The Early Bird Full English- After pancakes, I'm also a big fan of beans. 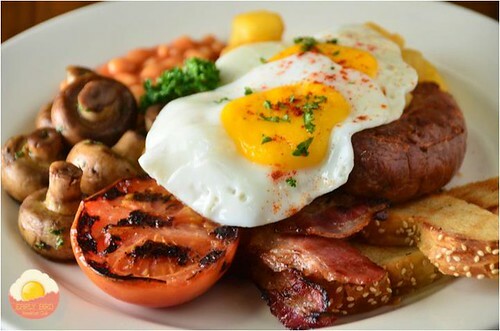 I haven't been to London yet, so this is the closest I can get to a proper English breakfast with bacon, eggs, tomatoes, mushrooms, sausage and of course- creamy beans! 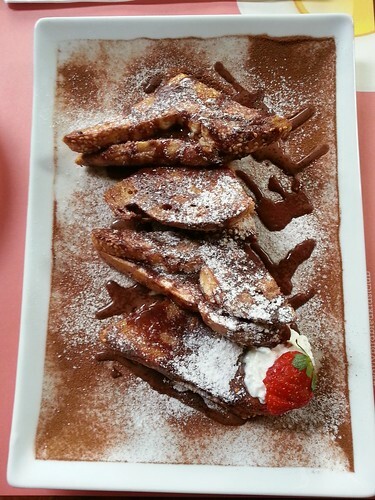 Choco Banana Berry French Toast- Toast soaked in Nutella and caramel, served with bananas and blueberries, powdered lightly with chocolate then topped with fresh strawberries and cream. 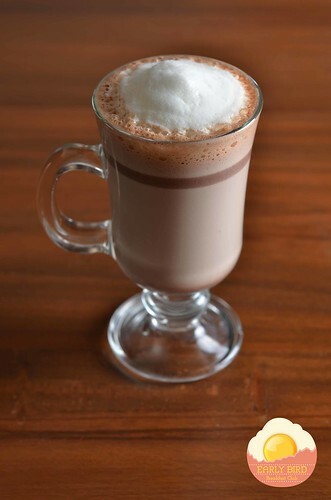 No sweet tooth can resist this! There's a lot more dishes I'd like to try on my next trip- and the drinks! That's why I keep trying to order different things when I'm there. (I fail at the pancakes though.) Check out their full menu here. Another thing I like about Early Bird is the location. It's at the Fort Strip, a few steps away from High Street. 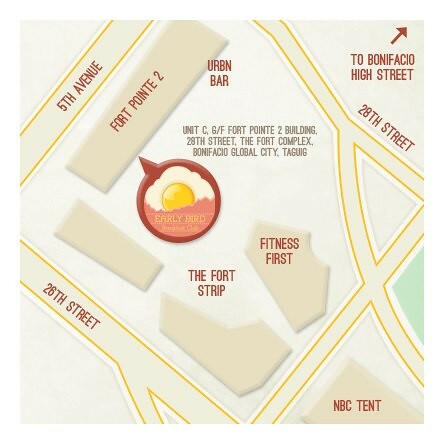 Their address is Unit C, Ground Floor, Fort Pointe 2 Bldg., The Fort Complex, 28th Street, Bonifacio Global City. 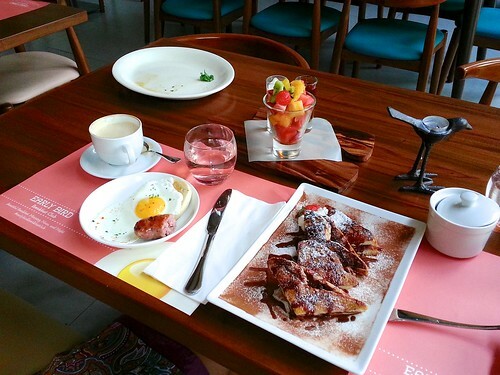 And there's no need to be an early bird to get your perfect breakfast. They're open from Sunday to Thursday at 7.00am to 10.00pm. And on Fridays and Saturdays, they're open 24 Hours! 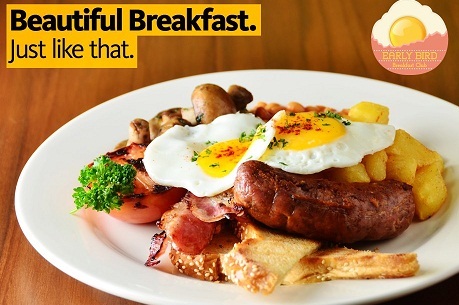 Make sure it's on your list for your search for The Perfect Breakfast in Manila. I hope to chat with you there!